Yes! With some help from the marketing department of the best college in Ireland (click here to find out). 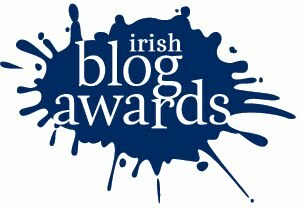 Leo’s Learning Blog has been nominated for the Irish Blog Awards in the category of Best Specialist Blog. Well, surely this is something to blog about! Yes! but before I get too carried away I note that there are many excellent blogs in this category including Eugene’s Blog, Deryk Thormy’s Blog and Jimmy Hill’s Blog. So what’s going on with blogging? What are we all doing and more importantly why do people blog? As you might expect I have a learning theory that might explain, in part, what may be happening. I refer you the work of John Dewey (1859 – 1952) the American educationalist and philosopher and the further insights of Professor Chip Bruce a “master blogger” of many years, a great scholar and a friend of mine. Chip and others have developed the notion of an Inquiry Cycle model of learning based on 4 basic human impulses identified by John Dewey (for a fuller treatment I recommend you read Chips Bruce’s work here). I contend that this is precisely what we seem to be doing when we blog. The question “ask” or inquiry begins with the writer but gets passed on to the reader. Next we “investigate” to get new insights and often source and build on the ideas of others. And, as a natural consequence, we seek to build on the ideas of others – this is the “create” part of the cycle. With new insights and ideas its only natural (literally) that we seek to share, communicate and “discuss” with others – hence all this blogging. Finally we we think back on the experience and “reflect” and this, in turn, initiates the cycle again. We live in a complex and challenging and for me, this blog helps me to sort things out – it is part of my inquiry, my way of making meaning and my learning.